That’s right. 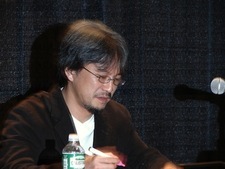 In a recent interview with IGN, Eiji Aonuma spoke about The Legend of Zelda: Skyward Sword. He talks about the role of the Skyward Sword in the story, as well as his opinions of Skyward Sword on the Wii U.
Wanna catch the whole interview? Here’s the video, courtesy of IGN.